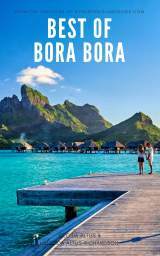 A Bora Bora Map is the first thing you need for planning a Bora Bora vacation! 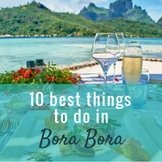 A Bora Bora map will show you some of the most unique geography on earth. 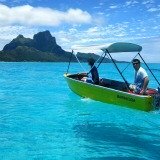 Bora Bora sits in a calm lagoon that is circled by motus (islets). 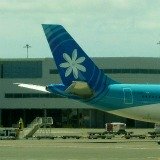 The ambiance is like that of a big, blue, warm swimming pool, with a lush green backdrop. 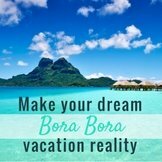 As most of the Bora Bora beaches are privately owned, the Bora Bora resort you choose will provide the setting for hours and hours of entertaining beach ecstasy. 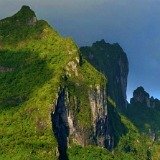 When you arrive at Vaitape Port, walk to the right and be welcomed by a large Bora Bora map. 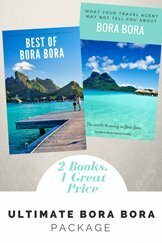 Bora Bora Tourism Center is behind it to the right, so stop in and pick up a map of your own. 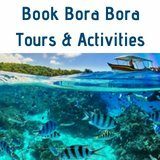 See below for a map of Bora Bora marked with my favorite attractions! 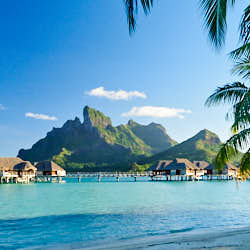 The beautiful Bora Bora Resorts are located on pure white sand beaches and each has a different outlook. 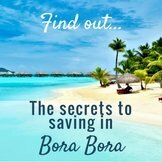 Check their locations on the Bora Bora map below. 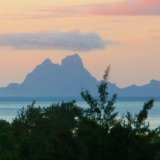 Resorts on the eastern motus offer amazing views across to Bora Bora island and Mt Otemanu. 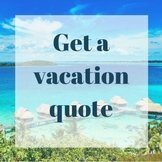 Or a villa facing the Pacific Ocean. 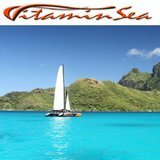 Resorts on the main island have the convenience of being close to shops, restaurants and Matira Beach. 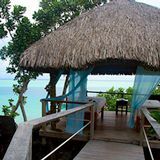 The Hilton Nui Resort is tucked privately away on Motu Toopua with wonderful sunset views and great snorkeling. 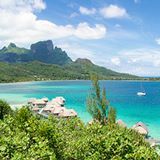 Another resort, the Sofitel Private Island, is on tiny Motu Piti Uuuta so you can paddle round to the 'Aquarium', at your leisure, for some amazing snorkeling. 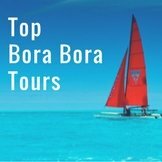 Here is an interactive map of Bora Bora Island with the attractions I have discovered during my Bora Bora vacations. You can print out this practical map to take with you, as it has many more locations and attractions marked on it than the map you will receive from your hotel. 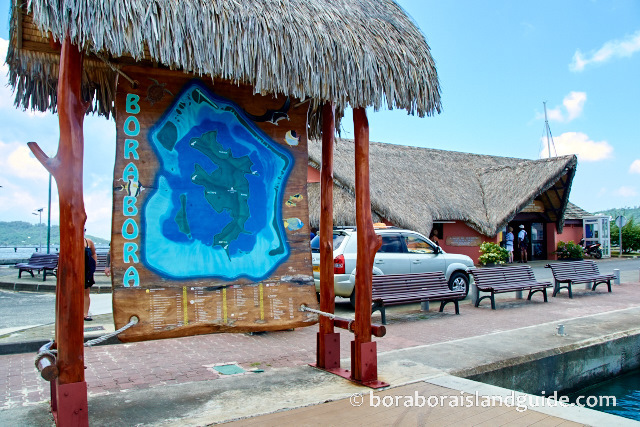 You could even laminate this Bora Bora map to keep it dry during your Bora Bora lagoon adventures! Click on the place-marks on the map to find out more information about each location.